Discussion in 'Outerwear' started by bretron, Jun 18, 2013. Another forum member has a leather version of a M1941 from SFA that I love the look of. Hoping to convince Mark to make it again. Ahhhh! New name for Mark- Got it. I love that Missabe D-pocket. Yeah, I like that one too. Almost commissioned one not too long ago...got distracted with another of his designs. IMHO this is the pattern by which all other d pocket jackets should be measured. Absolute artistry and precision. Effing perfection. 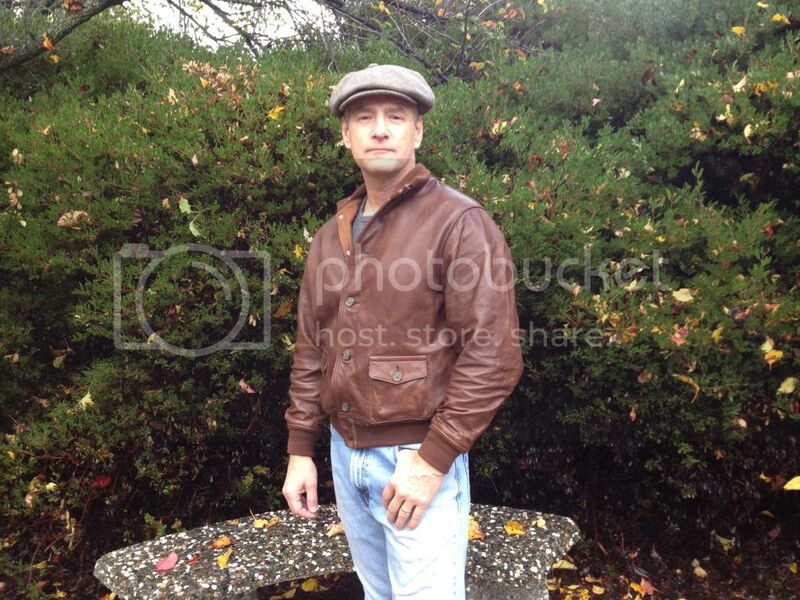 Jeff, I was hoping you'd how off those two jackets wanna see some updated wear photos! Mark is making me another jacket....his Cossack design. I was seriously torn between that and the design you got. He is making it out of some new water buffalo hide he got, a lighter tan. I really liked the sample leather he sent me. He sounds stoked about how it's working out. Some serious attention to detail in this jacket ... look forward to seeing it being worn . I'm flippin' my lid here! 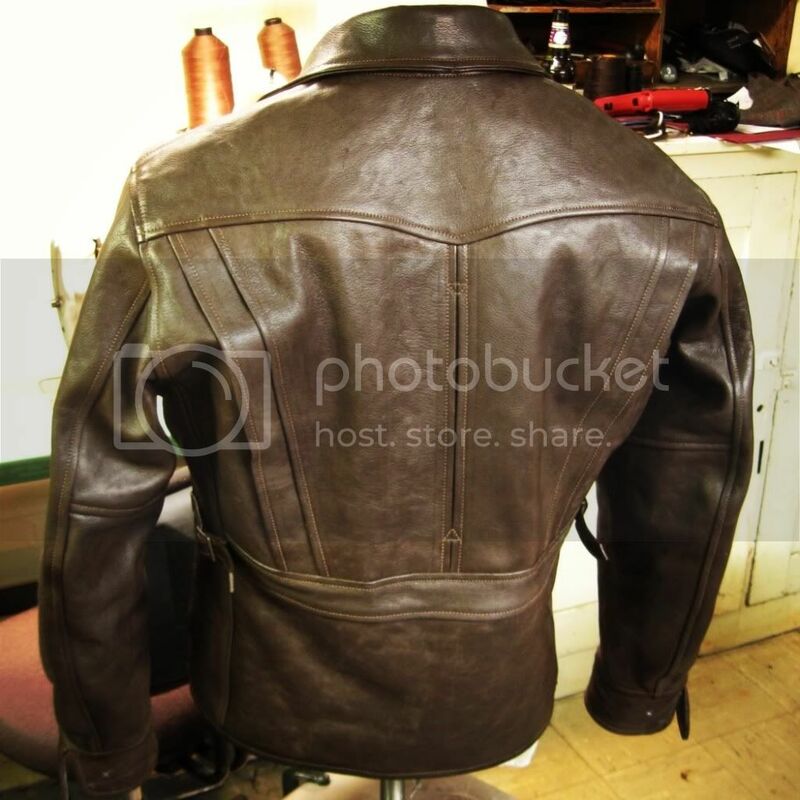 That's the EXACT back detail I've wanted on a leather jacket ever since I first saw it on a Japanese "Neal Cassady" jacket! The entire jacket looks fantastic! I did have plans to save up for an Aero Sunburst, but now . 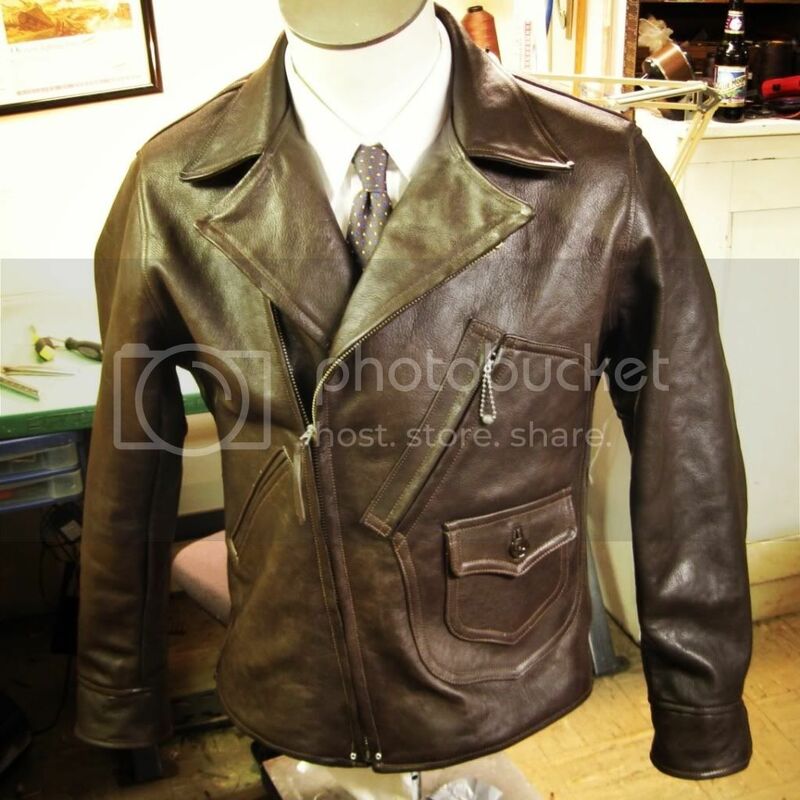 . .
Mark is one of the best jacket makers I've had the pleasure to come across. The jackets he's made for me could not possibly fit better. Can't recommend him too highly. I bought one of his sale jackets. I gambled on the size based on Mark's advice and it was spot on. The jacket is my favorite that I have had and Mark was a really good person to deal with. I will be excited to see the new site. Here is my jacket. The leather is a nicer colour than my picture shows. Below is a better indication of the Portofino Cognac colour. Bretron contrats once again. Tell me how much was this jacket, could you customize it, and how long was the wait? Thx for all the kind words, guys! 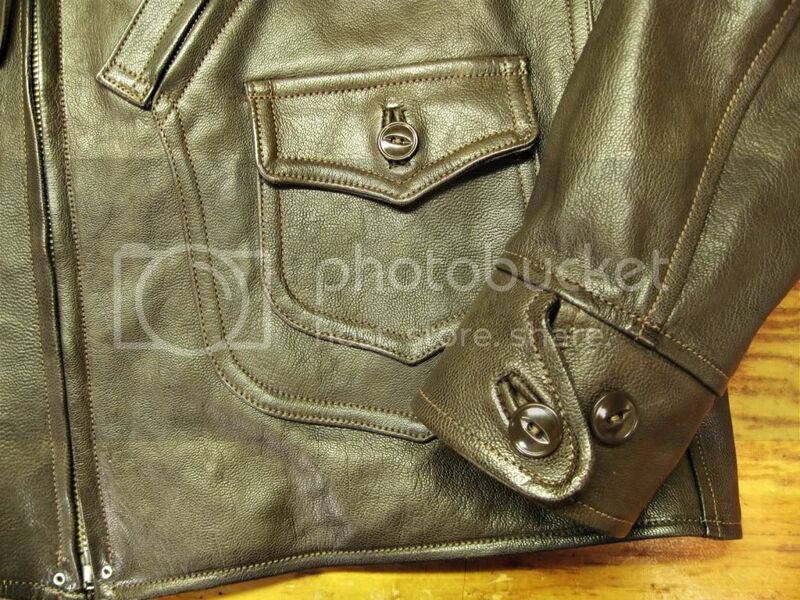 @edward, yes it's goatskin (the same stuff JC is using on his usn jackets). @simonc, customizing should be no problem. Mark is very open to design ideas from what I understand, so if ya got a mod in mind or perhaps an idea for a totally different jacket, I'd suggest ya give him a buzz the wait time for me was approx three months; he's a one man operation and doing this on the side, though I understand he is trying like gangbusters to make this a full time operation. I think the world would be a better place if he could invest full time to designing an making these jackets. Mark told me he's mainly focusing on the civilian jackets with the launh of Norshor, though he has plenty of A2s on his résumé.